Do you ever feel like your boss's only priority at work is to make your life harder? The devil who sits behind a desk, handing down decisions that seem to make no sense? "He doesn't get me! He has no clue. What the ..."
"I have no idea how she even GOT that job." "Why doesn't someone do something about this?!?" "Helloooo. Doesn't she see what's really going on here?" 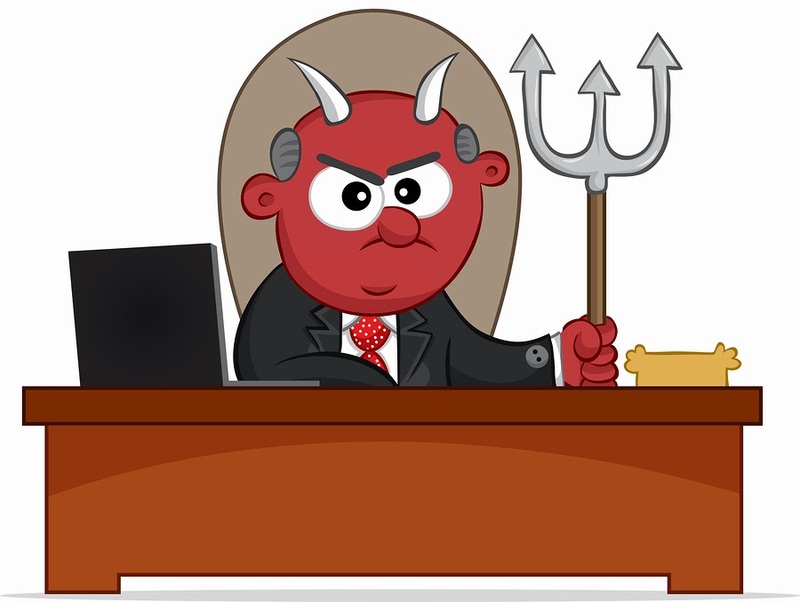 Sometimes your negative judgments of a boss are fair. Other times, you just don't have a good enough relationship to understand your boss's priorities, challenges, or perspective. I know, I've been there. In either case, your life becomes MUCH easier when you have a productive relationship with your boss. John Maxwell is a legend in the publishing industry, authoring over 70 books on leadership in business. I'm a fan of his commitment to developing authentic, engaged, and influential leaders. Today, I share John's tips about how to lead your leader. A strong relationship with your boss - that allows you to influence decisions and plans with greater success and satisfaction. Think of it as your Get-Out-Of-Jail-Free-Card in the game of how to avoid eating your soul for breakfast. 1. Lead yourself exceptionally well. The key to leading yourself well is to learn self-management. 2. Lighten your leader’s load. When the boss succeeds, the organization succeeds. Conversely, it is almost impossible for you to win if your boss fails. 3. Be willing to do what others won’t. than an employee with a whatever-it-takes attitude. 4. Do more than manage - lead! Managers work with processes – leaders work with people. 5. Invest in relationship chemistry. People won’t go along with you if they can’t get along with you. 6. Be prepared every time you take your leader’s time. no matter what a leader does. 7. Know when to push and when to back off. Make the right move at the right moment with the right motive. 8. Become a go-to player. Step up and make a difference when it matters. 9. Be better tomorrow than you are today. Be more growth oriented than goal oriented. You may read that list and think you've heard it all before. My question - have you done it all before? As someone who's managed large teams as an executive in both start-up and Fortune 500 companies, I can confirm that every one of these tips makes you a more valuable employee to your boss. Your boss may or may not do his or her "part" to build a productive relationship with you. The good news is that it doesn't matter. If you do your part, you'll earn the ability to influence your boss over time. The more influence you have, the more successful and satisfied you'll be at work. You don't have to like your boss. You don't even have to respect your boss. But you do have to behave respectfully. So why not go one step further and invest the effort to become a valuable member of your boss's team? Don't do it for your boss. Do it for you. PS: If this article was interesting to you, it might be interesting to your family, friends, and colleagues. Do them, and me, a favor - and share it with the buttons below. Thank you!